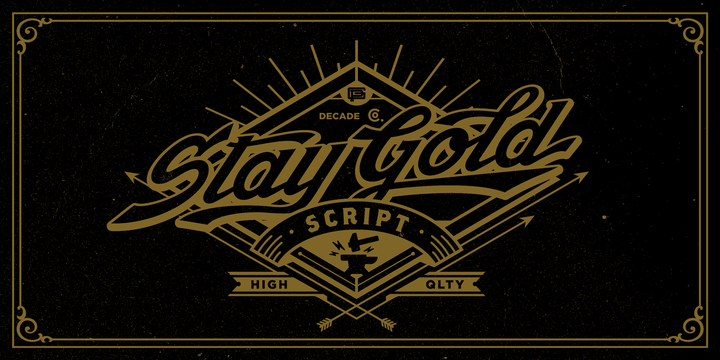 Stay Gold is a typeface that it’s great for wedding invitation, logo, poster, display etc. It was published by Decade Type Foundry. Give it a chance! A font description published on Tuesday, December 10th, 2013 in Decade Type Foundry, Fonts, Gilang Purnama by Alexandra that has 4,630 views.